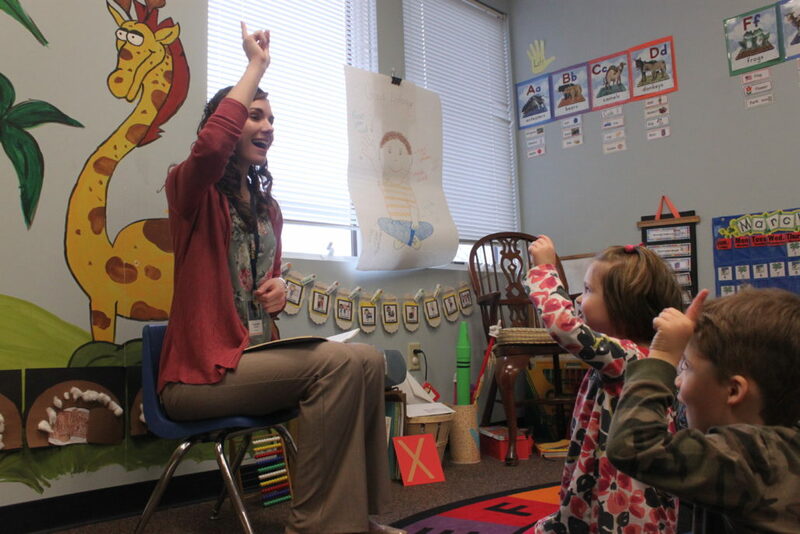 The Pre-K at Covenant Christian Academy provides a caring, Christian environment for young children who are just beginning their journey in a classroom setting. 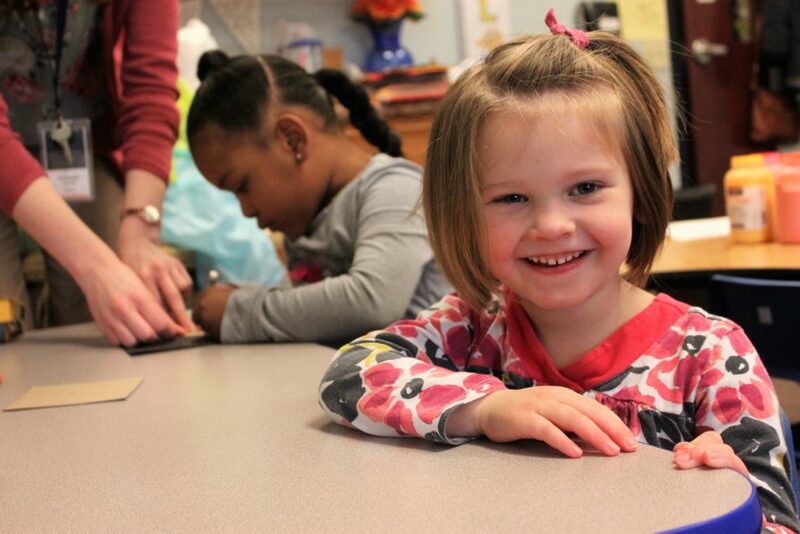 Our Pre-K program is designed to help nurture a joy and an eagerness for learning in our students. Whether discovering a new letter sound or building a block structure with peers, our students are taught to delight in learning about God and His creation. 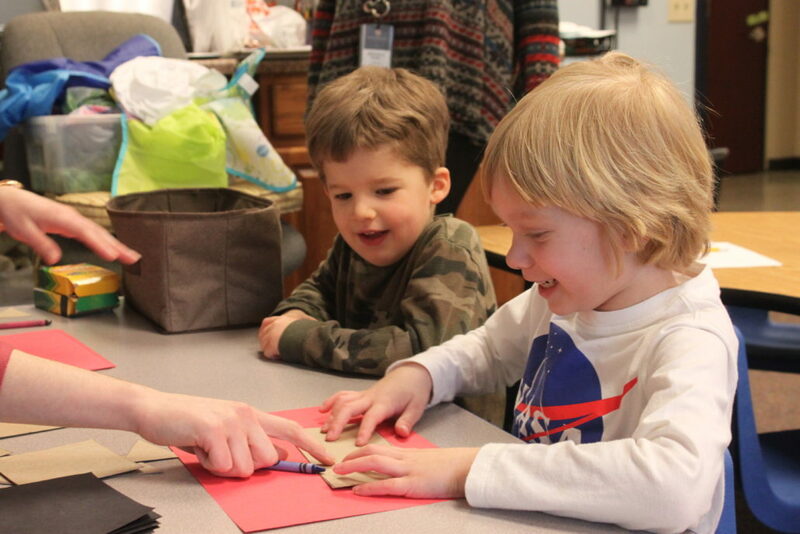 Covenant’s Pre-K recognizes the importance of an ongoing partnership with families in the education of their children. Parent communication and involvement are indispensable to the quality education a child receives at Covenant. We aim to provide Christ-centered instruction, feedback, and resources which support parents in the teaching and training of their children at home. *Schedule details subject to change. Covenant’s Pre-K provides a developmentally appropriate curriculum in an orderly environment guided by Biblical principles. 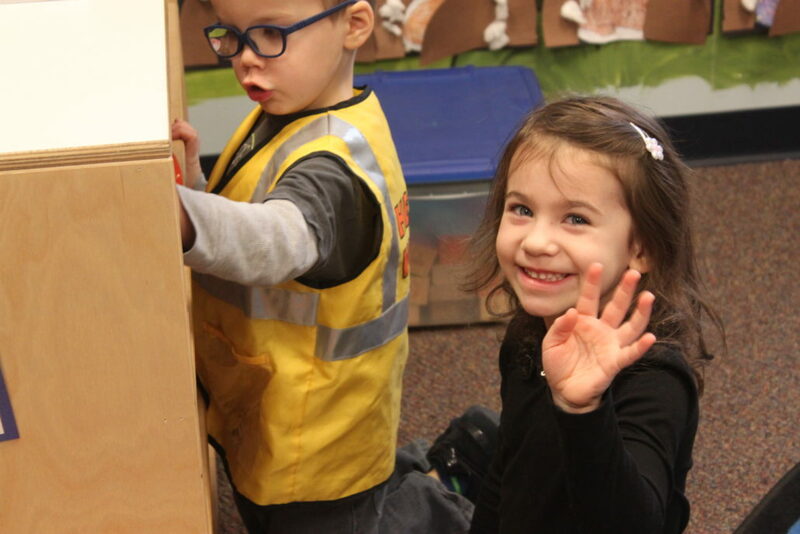 Our curriculum is purposeful about providing meaningful learning opportunities which engage preschoolers and enable them to experience true pleasure in their learning. We utilize a thematic approach and classical teaching methods to create a variety of individual and whole class learning activities that promote development of the whole child. We strive to be intentional about teaching and forming both the mind and heart of our students. 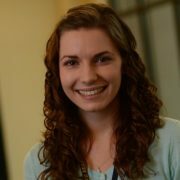 Each day provides experiences in art, music and movement to encourage creativity, teacher-led activities to increase listening skills, group times to practice classroom etiquette and self-control, hands-on activities to promote fine and gross motor development, and imaginative playtimes to encourage Biblical social skills. Our Pre-K children receive an outstanding preparation for the classical Christian education our students receive in grammar school and beyond. Math: Children learn number sense and number skills through our daily calendar math time. A variety of center activities focus on practicing one-to-one correspondence, patterning, graphing, counting, sorting, and measurement skills. 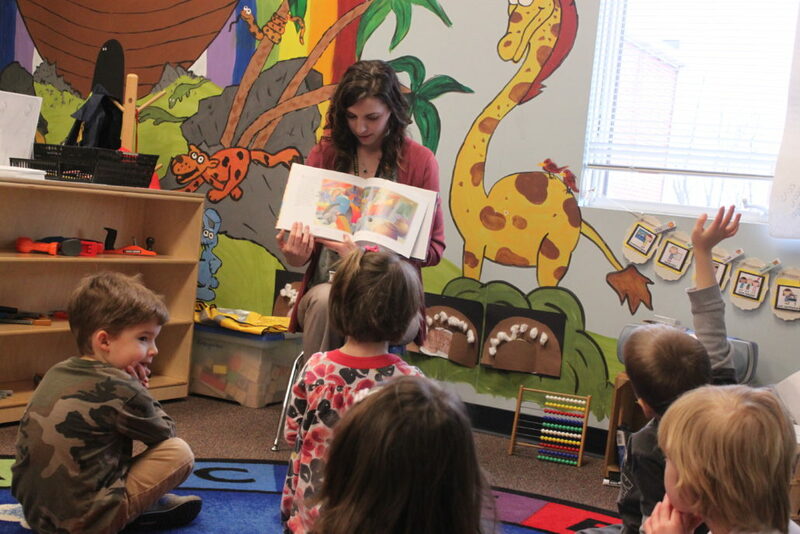 Bible: Our Pre-K curriculum includes a 20-minute Bible period every day. During this time students pray together, hear a Bible story, memorize verses and catechism questions, and sing a Bible song. Morning Meeting: Each morning always begins with a group circle time where we greet one another, read a morning message, and participate in calendar, weather, and job activities. In addition, children learn fingerplays, songs, or poems which relate to the weekly theme. Handwriting: Our program focuses on building the fine motor skills required for handwriting through regular coloring, tracing, cutting, painting, and other strength building activities. Students also have frequent, repeated practice to write the letters and their first and last names. Centers: Students engage in a one-hour center time. Students rotate from dramatic play, block, art, and literacy centers and receive small group and individual attention at two of the centers. 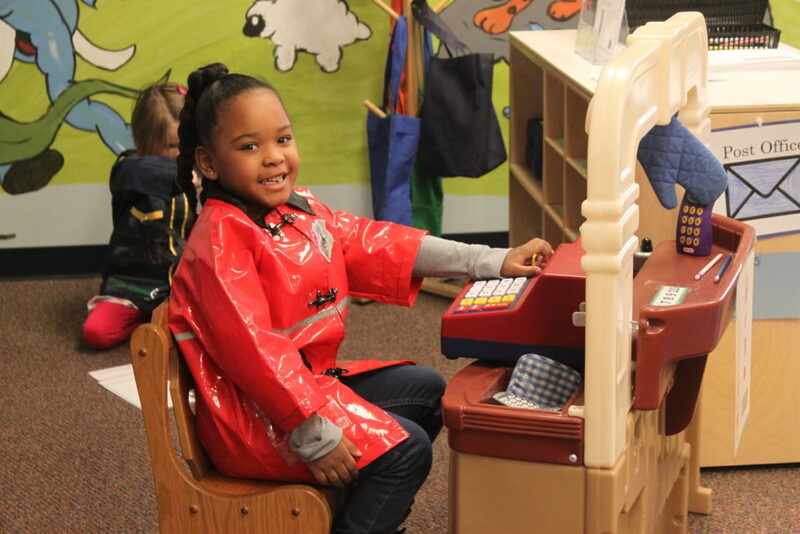 Literacy: Our Pre-K curriculum exposes children to a print rich environment and teaches a “letter of the week” to promote letter and sound identification. We seek to develop print awareness, comprehension, and phonemic awareness through daily read a-louds, nursery rhymes, shared writing, and literature activities. We make an investment to expose children to the classics in children’s literature as well as other children’s favorites. Additionally, children learn correct pencil grasp form and practice correct formation for the letters of their first and last name. Art/Music: Children participate in 30 minutes of Suzuki music 2 days a week with Mrs. Rennels. The class also engages in daily singing, daily art centers, and movement or dramatic activities for artistic expression.